Home > News > Product Knowledge > How to configurate A Reasonable Stone Production Line? How to configurate A Reasonable Stone Production Line? How to configurate a reasonable stone production line? I believe this is a problem concerned by many customers. The production process of stone production line is: vibrating feeder - jaw crusher - impact crusher/cone crusher - vibrating screen - finished products. 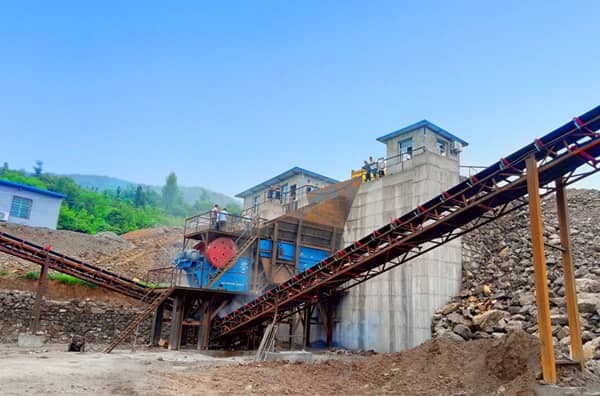 Firstly, the stone is transported evenly to the jaw crusher for primary crushing through vibrating feeder, and then the coarse crushed materials are sent to impact crusher for further crushing. The fine crushed materials are classified by the vibrating screen into different size of particle. The non-qualified stones are transported to the impact crusher again for fine crushing, forming closed-circuit circulation. Luoyang Dahua has rich experience in designing and configurating the production line according to the customer site condition and requirement. The company can provide thoughtful after-sale service, if you have any problems during machine working process, you can contact us lydhchina@huazn.com or +86 15837930610. Next Article: What is Mineral Separation?